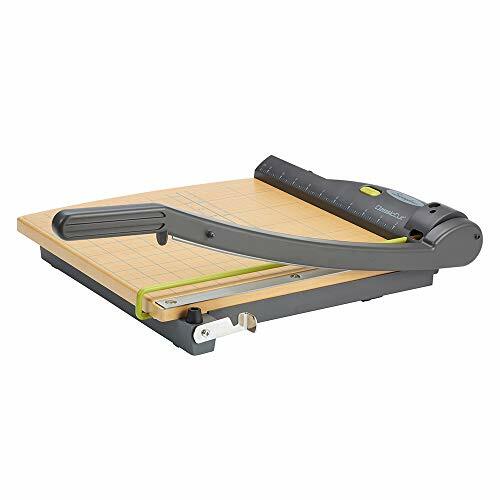 The Swingline ClassicCut Lite Guillotine Trimmer is simple, steady and precise, with a sharp guillotine blade that cuts through papers with ease and an alignment grid that ensures accuracy. Sturdy trimmer is also light and easily transportable, with a durable plastic base. A 12” cutting length makes it a convenient choice for most general trimming tasks. 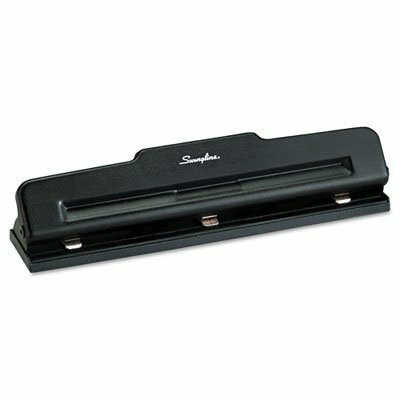 A complete case of four trimmers allows for easy placement around the office, ensuring all employees have access. 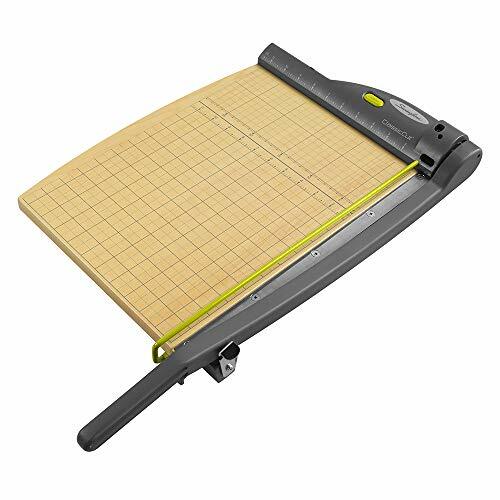 The trimmer easily cuts paper, photos, and more, cutting up to 10 sheets each time. The alignment grid helps ensure precision. A dual scale ruler, with marks in inches and centimeters, allows for easy measuring, regardless of which system you prefer. 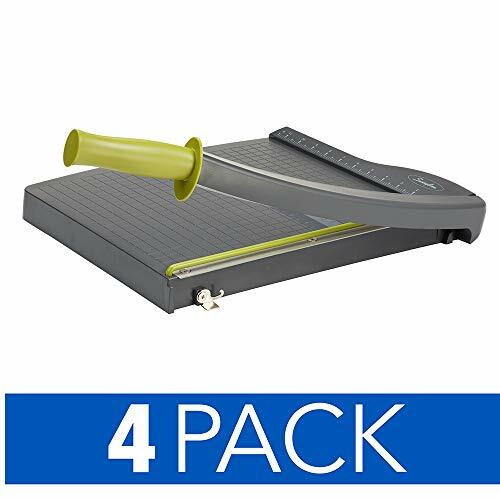 Safety features include a guard rail to keep your fingers away from the blade when cutting, and a blade latch hook that secures the arm in a locked position when the trimmer is not in use. Swingline backs this high-quality trimmer with a limited 10-year warranty. The Swingline ClassicCut Laser Guillotine Trimmer is steady and precise, with a self-sharpening guillotine blade, an alignment grid, and a red laser light. Sturdy trimmer is built with a durable, wood base to withstand heavy use. A 12” cutting length makes it a convenient choice for most general trimming tasks, while the self-sharpening blade is designed for consistent service. 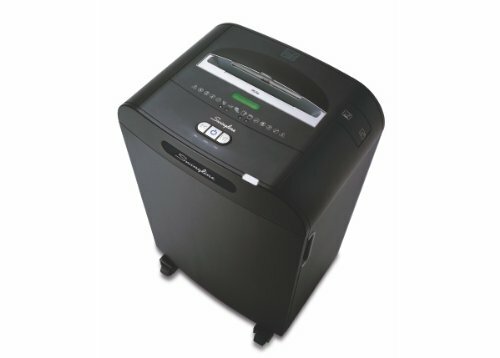 The trimmer easily cuts paper, photos, and more, cutting up to 15 sheets. Battery-operated, red laser light clearly illuminates the cutting line, for additional precision, along with the built-in alignment grid. Includes 2 AAA batteries and an Alien key to adjust the laser. Dual scale ruler with marks in inches and centimeters allows for easy measuring. Safety features include a guard rail to keep your fingers away from the blade, and a blade latch hook that secures the arm in a locked position when the trimmer is not in use. Swingline backs this high-quality trimmer with a limited 10-year warranty. 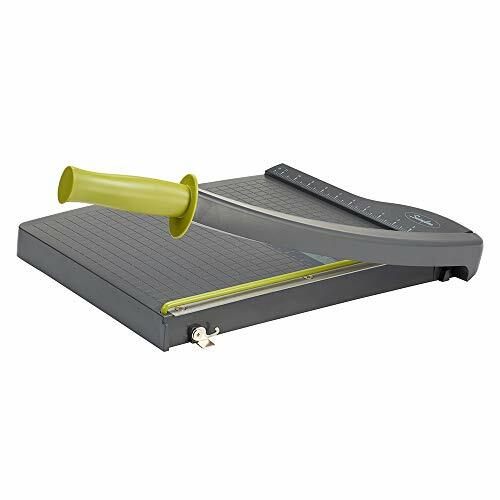 The Swingline ClassicCut Laser Guillotine Trimmer is steady and precise, with a self-sharpening guillotine blade, an alignment grid, and a red laser light. Sturdy trimmer is built with a durable, wood base to withstand heavy use. A 15” cutting length makes it a convenient choice for most general trimming tasks, while the self-sharpening blade is designed for consistent service. 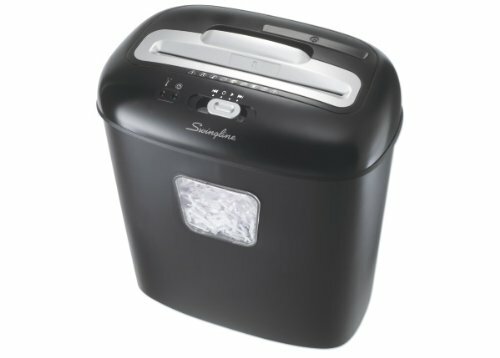 The trimmer easily cuts paper, photos, and more, cutting up to 15 sheets. Battery-operated, red laser light clearly illuminates the cutting line, for additional precision, along with the built-in alignment grid. Includes 2 AAA batteries and an Alien key to adjust the laser. Dual scale ruler with marks in inches and centimeters allows for easy measuring. 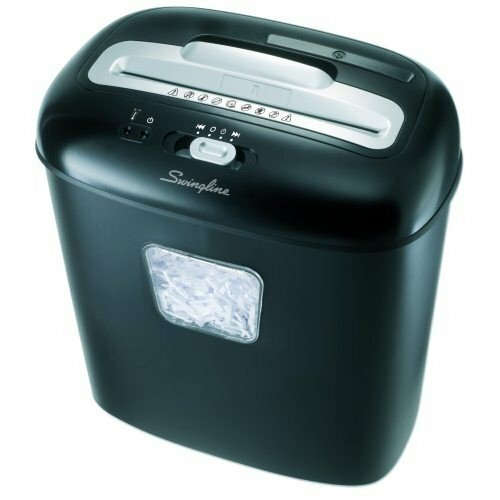 Safety features include a guard rail to keep your fingers away from the blade, and a blade latch hook that secures the arm in a locked position when the trimmer is not in use. Swingline backs this high-quality trimmer with a limited 10-year warranty. Compare prices on Swingline 10 Sheet Light at Elevelist.com – use promo codes and coupons for best offers and deals. We work hard to get you amazing deals and collect all avail hot offers online and represent it in one place for the customers. Now our visitors can leverage benefits of big brands and heavy discounts available for that day and for famous brands.